It's that time of year when the new Stampin' Up! 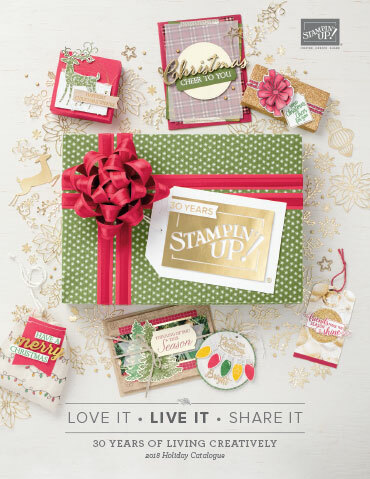 Catalogue is almost due for release ... yay! This also means that the Retirement List has been released to make way for new goodies. I'm always sad to see some items retire and this year is no different. Botanical Blooms has really been a favourite of mine and it's so versatile and I'm truly sad to see that it is on the Retirement List. It will remain as part of my stash mainly because of the matching Framelits which include some gorgeous floral dies that I could not bear to part with. 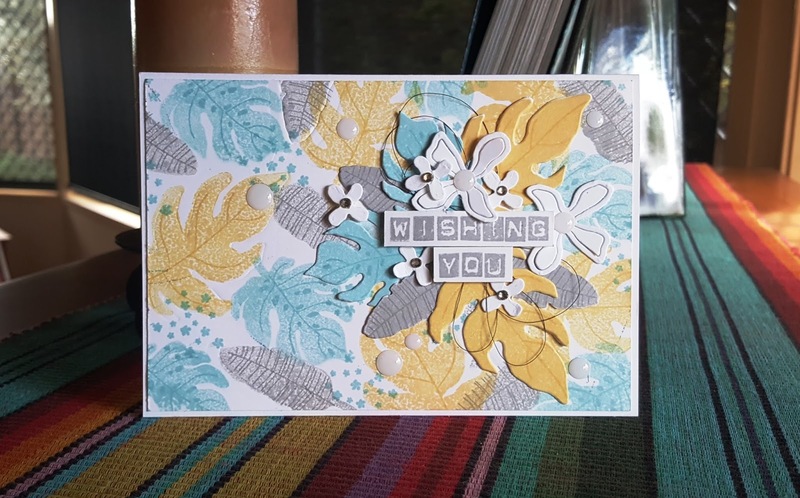 This birthday card has been made for a very special friend using her favourite colour Baja Breeze which retired a year or so ago. 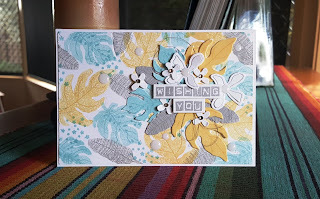 The ink colours on this card are Baja Breeze, So Saffron and Smoky Slate. Stamp sets include Botanical Blooms and Labeler Alphabet which luckily has not retired. I have to confess though, that this is the first time that I have used this alphabet set and it was simple to use so I will be sure that I use it more often. Accessories include White Perfect Accents, Rhinestone Basic Jewels and Black Metallic Thread.